All Hands on Deck Columbus, Ohio – visit a mosque, planned parenthood, and gay pride parade. You can sponsor someone to go. 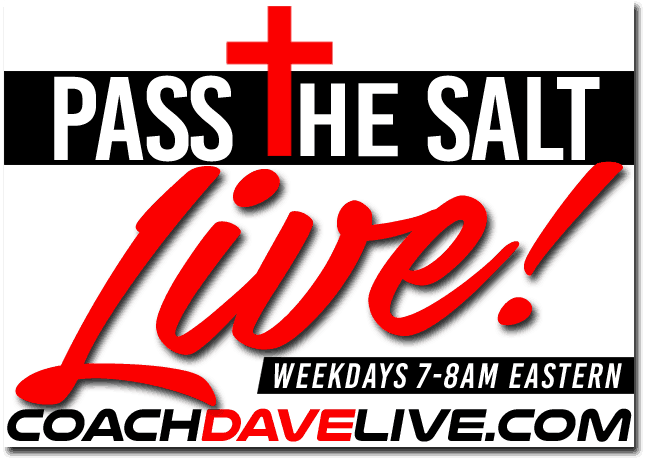 Visit coachdavelive.com, make a donation, today. Are we making controversy or contending for the faith? Why can we be fanatical over sports, but when we are fanatics for the life of the unborn, we look like whackos? What’s wrong with this picture? In God’s eyes it’s about faith in action, across the world, the races, the peoples. What did the Apostle Paul say in Galatians 3? “Neither Jew nor Greek.” You foolish Galatians, who bewitched (fascinated, charmed) you? Paul says we are all one under Christ Jesus. Men and women are not better than one another. Blacks and whites can equally be God’s people. Pastors are not better than parishioners. We are all servants of God, with different roles. We should be contending for the faith, together.